Made it to the Beta! So today I got into the Mists of Pandaria beta. 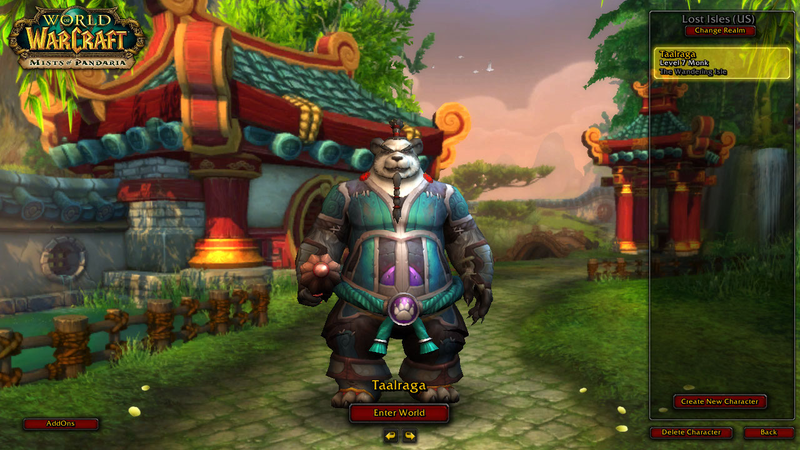 I created a Pandaren Monk and leveled him thought the starter zone up to level 8 before the server went down. The starting areas look fantastic as you can see in my new header image. I was getting sick of Ragnaros anyway. Soon I’ll be streaming video from the beta on my Twitch.tv channel. When I do I’ll link it here and tweet it. I’m raiding Dragon Soul tonight on live so it’ll probably be this weekend sometime. P.S. From The Ashes is setting up a beta guild this weekend on the Lost Isles beta server.